How often should I fertilize my bonsai tree? Because bonsai trees are cultivated in limited amounts of soil, adequate feed is very important. As a general rule, a small amount of feed is given in the spring and a larger amount in the fall. 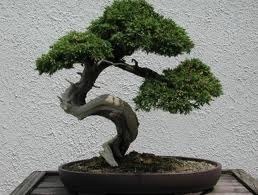 Feed for bonsai should contain three principle ingredients; nitrogen, phosphoric acid, and potash. It is also a good idea to use a fertilizer containing "chelated" iron. Water before fertilizing your tree and then apply at half the strength recommended by the brand’s manufacturer. We rotate the use of brands since different manufacturers add different amounts of trace elements and minerals. We also add Superthrive which is a vitamin supplement to our fertilizer mix. You may find it simpler and easier to use slow release fertilizer granules (placed over the soil) whose nutrients are released with each watering. 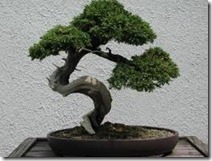 « How do I trim and prune my bonsai?